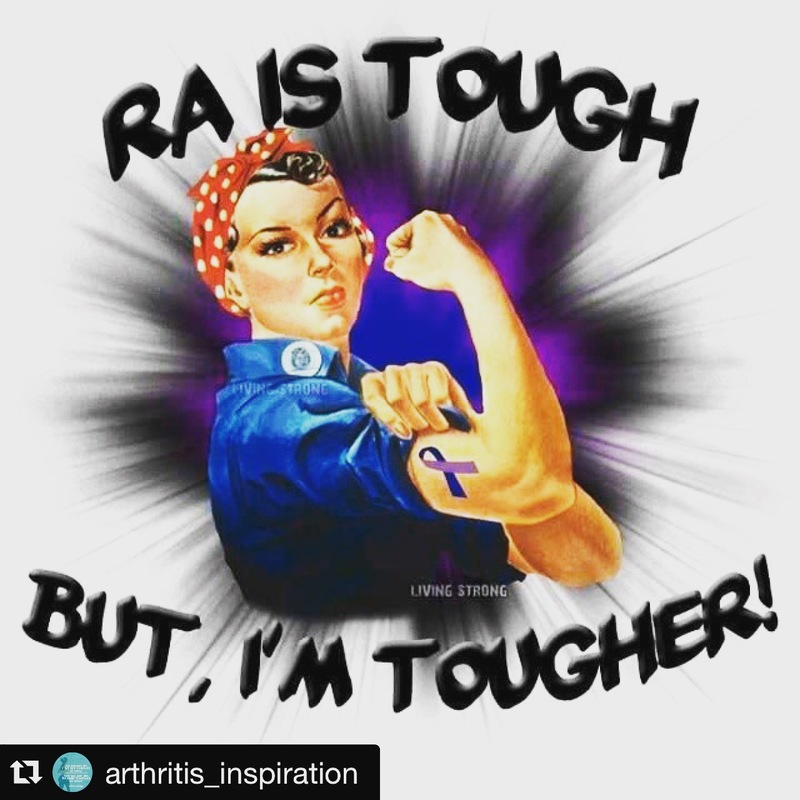 Rheumatoid Runner – RA Strong!!! Doing more than I ever imagined!!! I have been a word press no show for a while and I do apologize however life has been in full swing and I feel like I am just now catching up! July 2016 I changed jobs which has been amazing ~ I started back to college (not sure what I was thinking, oh yeah…… bucket list items) ~ and I changed RA meds (AGAIN)! That is the short version! SO ANYWAY I AM BACK! I am now giving myself weekly Orencia injections and so far there have been no side effects. I am back to running more regularly after a hiatus with job, school and med issues, I am back in the swing and I am SO SO happy! I have set a new goal to run a 1/2 marathon this year…which makes me even more motivated! 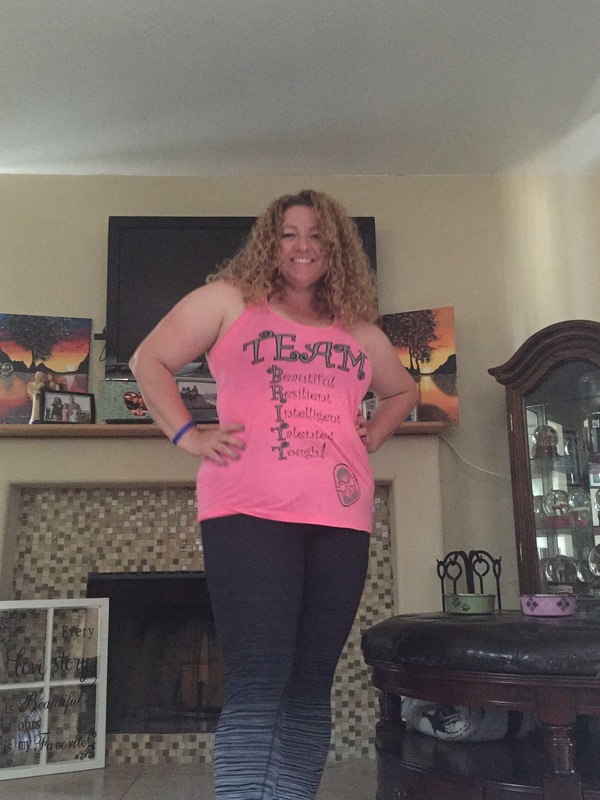 So here’s to changes….LET’S DO THIS!!!! 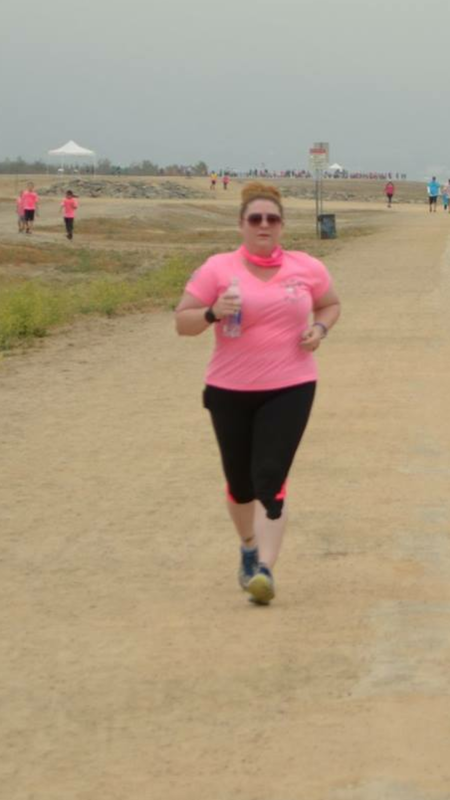 Last Saturday I ran my first 10k it was HARD and it was AMAZING! Today I ran my second fastest 1 mile distance, my fastest 400 meters and my fastest 1/2 mile distance! Just as exciting!!!! Those small PR distances and times mean SO much to me! A stronger body, stronger lungs, clear mind, blood pumping moments I thought would NEVER belong to me! The RA coupled with a 6.2 mile run last Saturday left my body in a depleted, swollen, exhausted way until Wednesday of this week. Despite biologics, rest, anti-inflammatory meds, and sleep I was burnt but I pressed forward determined to not stop until this body gives me no choice! So happy for this quick, small awesome 1 miler tonight! It meant so much!!! Happy Friday….keep on fighting the good fight!!!! Today marks the beginning of week two since my first Simponi Aria infusion. So far so good….fingers crossed and prayers for continued success! I am really staying focused on my own well being these days which is really different for me. In the past, my “M.O.” was caretaker of all people places and things……..except me. As a result of a lack of self care I fell apart when things went in a direction that wasn’t fitting into my plan. I lost myself completely during my husbands battle with drugs and alcohol. 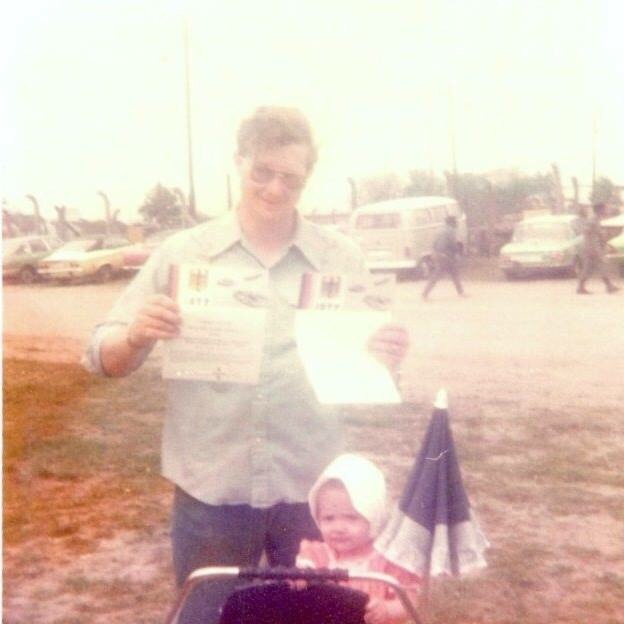 For a decade I tried to get him sober and keep him employed while raising children, working full time and taking care of the home and bills…there was no me left by the time all of these things were handled in a day. In 2014, I was diagnosed with Rheumatoid Arthritis which came after 6-9 months of nonstop X-rays, lab work, doctors appointments, insurance calls and waiting waiting waiting. I was devastated after the diagnosis… All I could think of was one day being in a wheel chair watching the world walk past me. I spent some time in self pity but then began my own reading and research of this disease. I was afraid but I knew I could do this…. I immediately wanted to begin biologics but HMO insurance requires a different plan. One and a half years of medication swaps, side effects, ineffective treatment, treatment that worked then tapered off, pills, injections, lab work, insurance submissions and more X-rays I am finally able to tread the path I hoped for in 2014. In the past I rarely went to the doctor, exercised, chose healthier foods, stood up for myself or spent time working on things for me. Today it is different, I look out for me which in turn is really helping my family. If I am healthier and happier they see that and the mood in the home is more peaceful and productive. I thank God every time I hit the pavement for a run no matter how easy or hard. Every time I run I think of all of those with debilitating arthritis and other diseases or situations that prevent them from the ability to move their bodies the way I get to today. I run today because one day I may not be able to! Sometimes it’s ok to be all about Me Me Me because then I am in a better place emotionally spiritually and physical to care for the other people places and things in my life! I have been waiting for this day for almost a month. Insurance approved and first infusion session was scheduled. I also agreed to participate in a study for my infusions. I was taken to a room and then visited by my rheumatologist who asked a series of questions about how I felt. He checked my joints and felt them. I asked him about the effectiveness of this treatment with plaquenil (I do not take methotrexate as it wiped me out early in my diagnosis to the point of not wanting to get out of bed). The decision was made to continue with the plaquenil with Simponi Aria and if the results are not what we hope we will re-introduce methotrexate and see what happens. After the assessment by my Dr., he filled out forms for the study and shook my hand. The nurse and the infusion specialist entered, I was given ibuprofen and Claritin. The nurse had me filling out the questionnaire for the study…mostly how I was feeling and how my joint pain effects everyday life. The infusion specialist looked at my veins said I have good veins ( I hydrated as much as possible prior) he cleaned the site and inserted the IV….he then said it would have been funny if I missed after that comment…. We all laughed and I said funny for WHO?? I thanked him for making me laugh…. It really eased my stress about the whole thing. 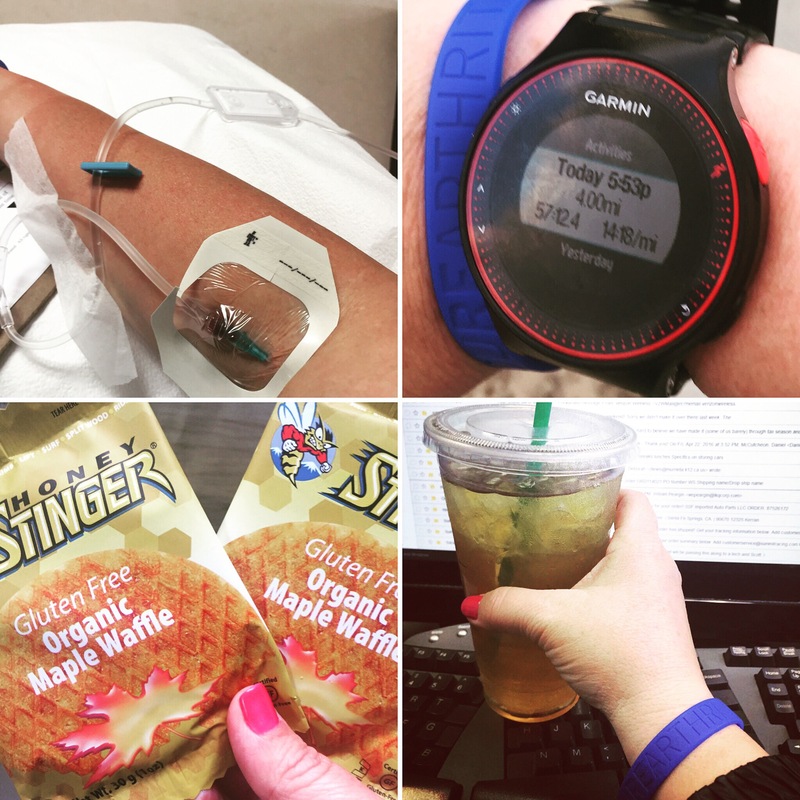 The IV was started… I finished the questionnaire, did some reading, added a photo to insta for my rheumatoidrunner profile and boom I was done! I went back to work, feeling the same as I had for the past few weeks, not that great. 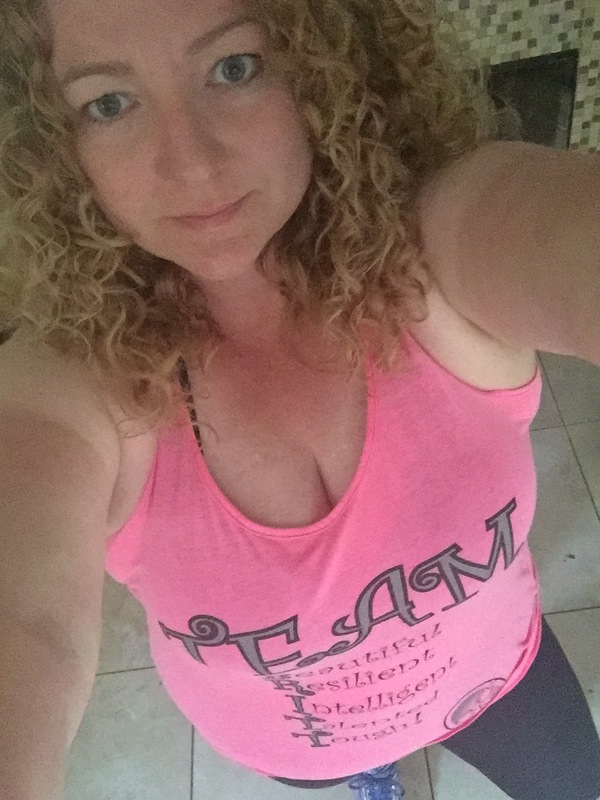 I went home after work took a 4 mile run….which felt great mentally….I am so pumped with hope that this treatment will work I was super motivated!!! I slept pretty darn good but it took a while to get comfortable and fall asleep (pretty normal for me) slept pretty good with the exception of one nightmare. Up this morning not quite as stiff as usual and still feeling hopeful. I am looking forward to the next few weeks as I have read that is when others have seem improvement…..next infusion in Four weeks then every Eight weeks! I like the sound of that!! !